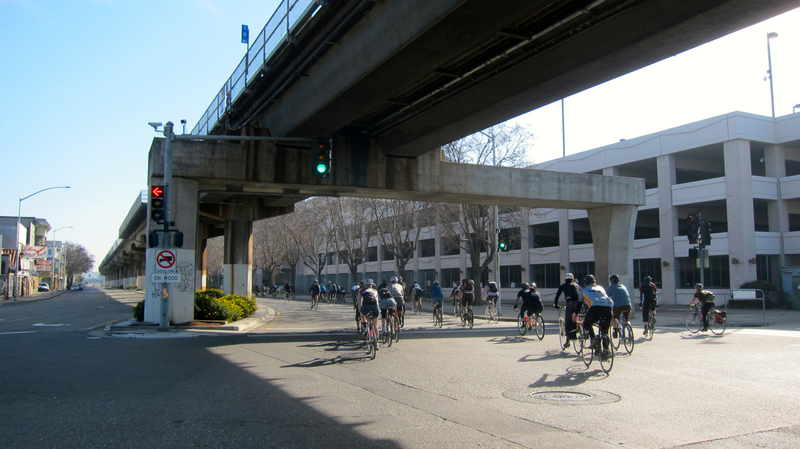 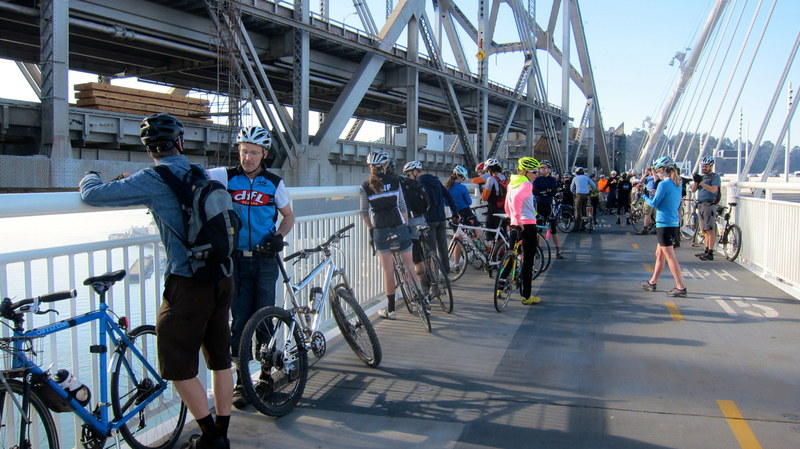 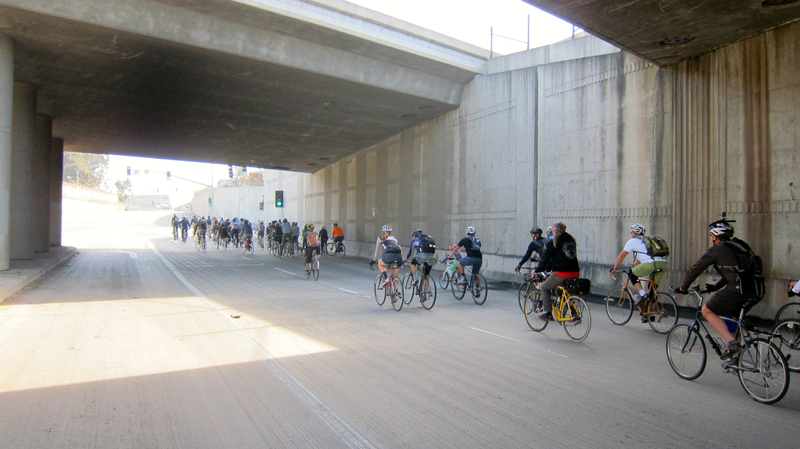 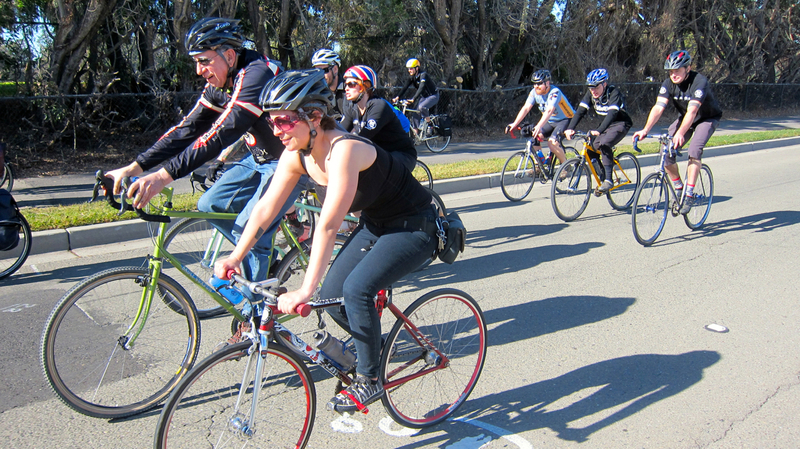 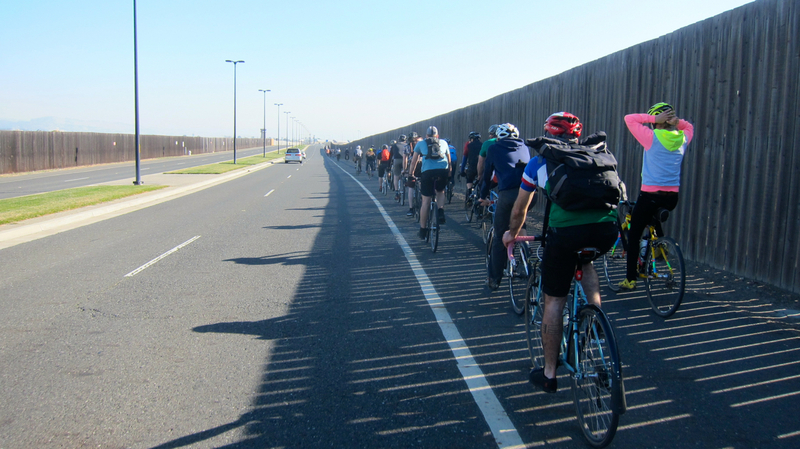 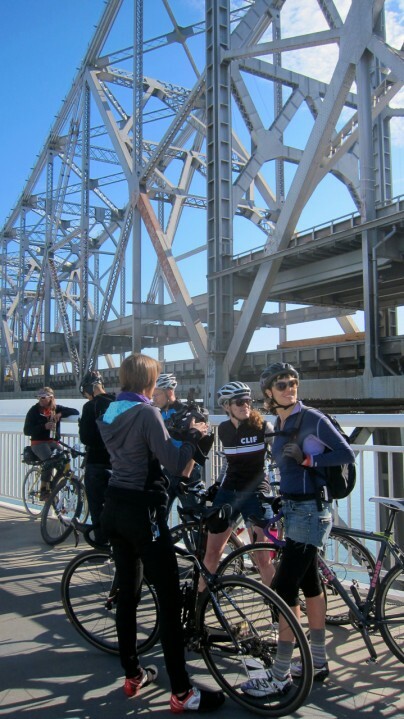 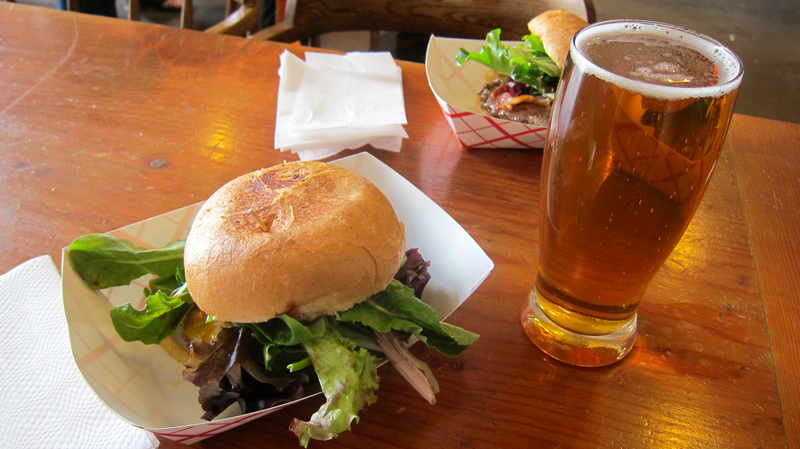 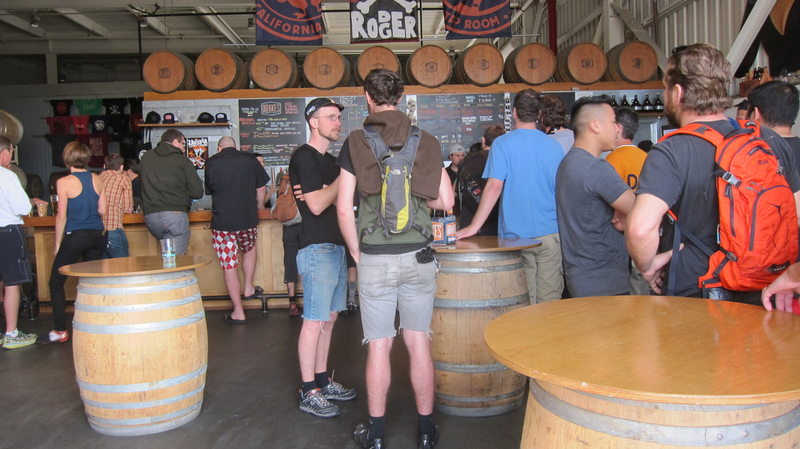 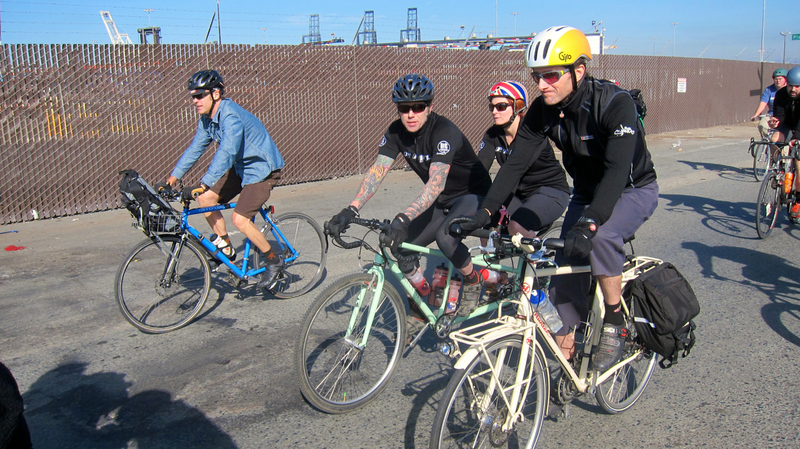 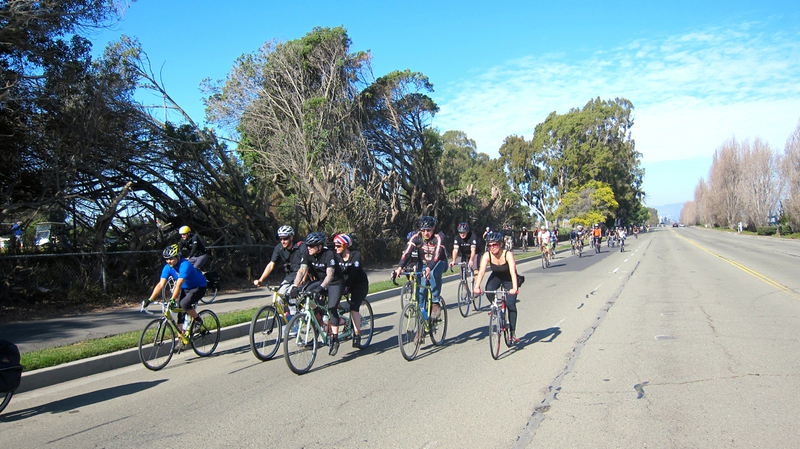 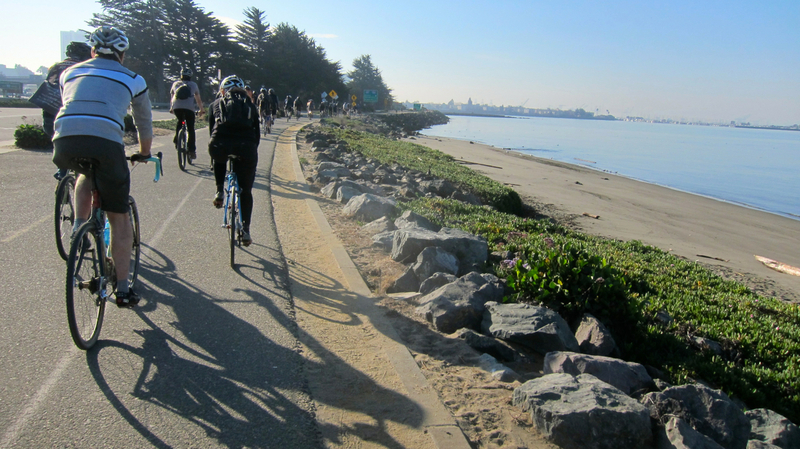 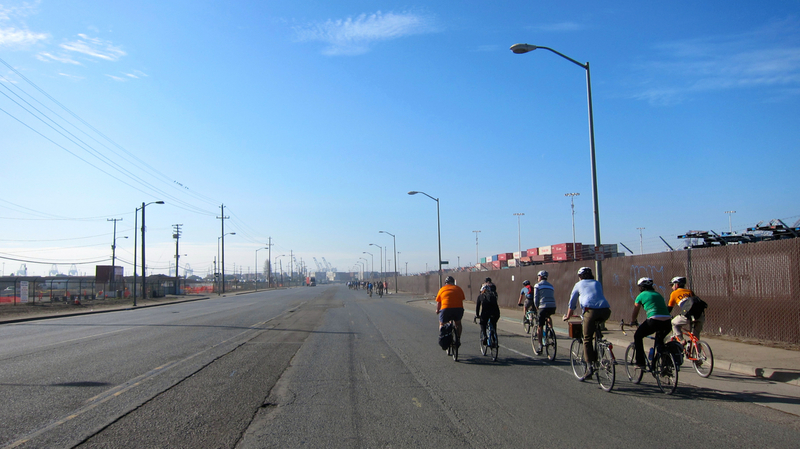 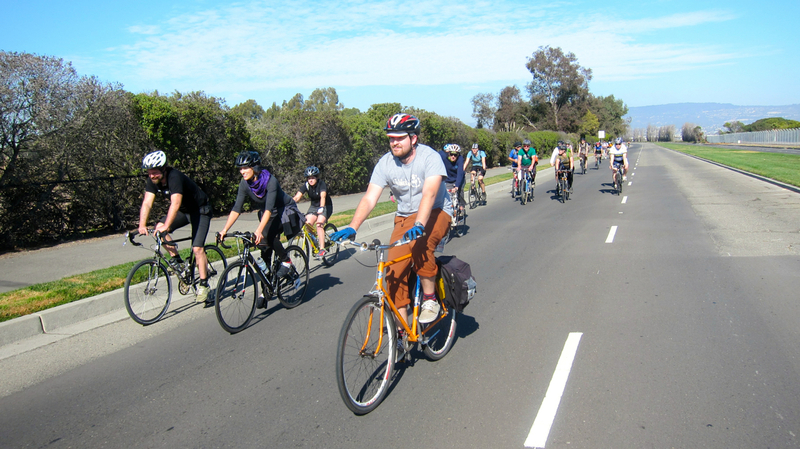 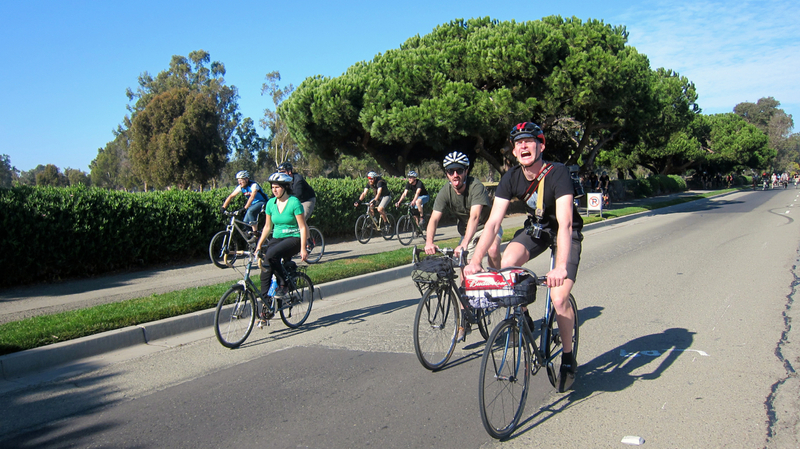 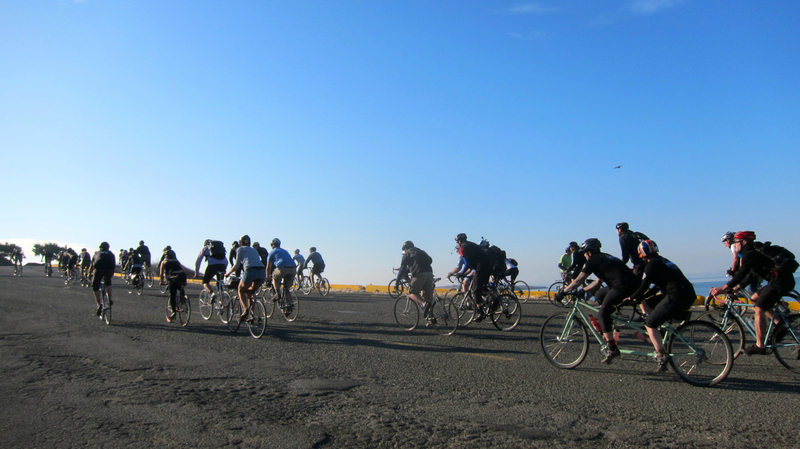 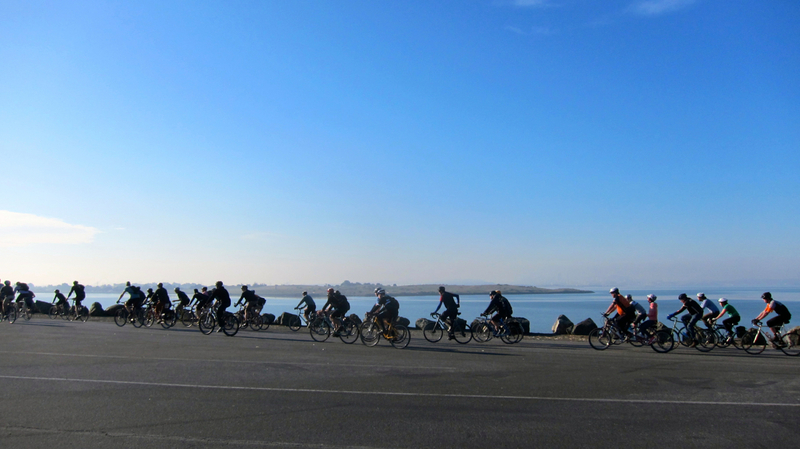 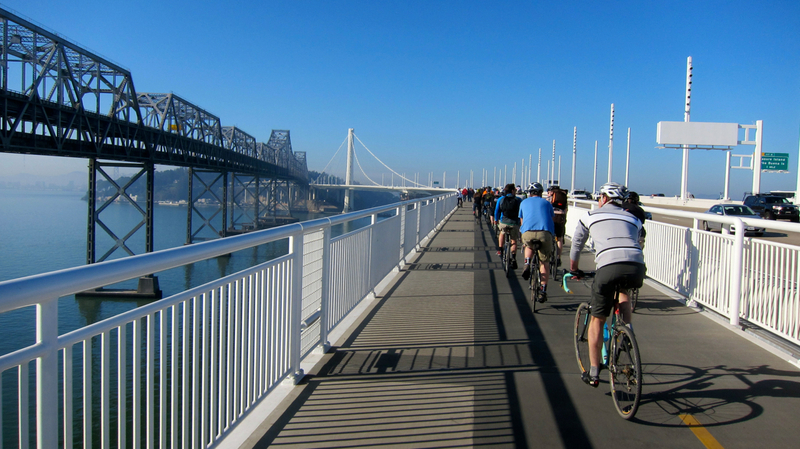 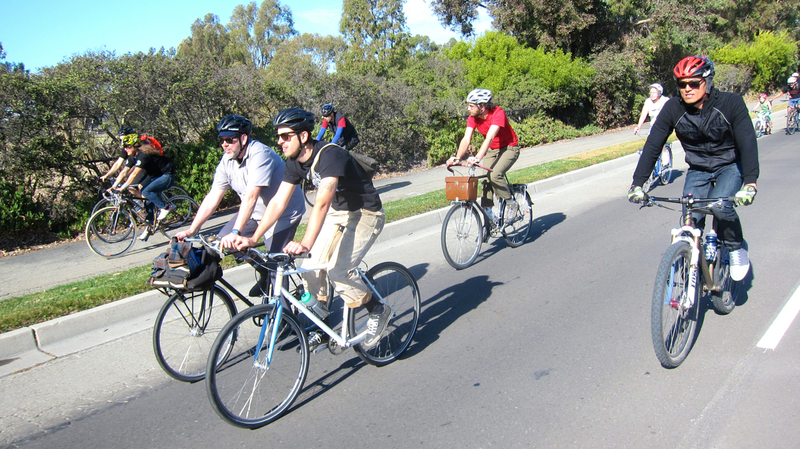 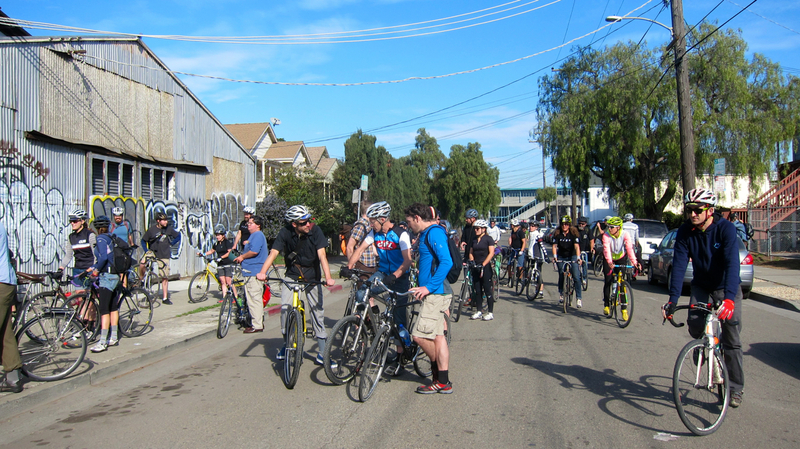 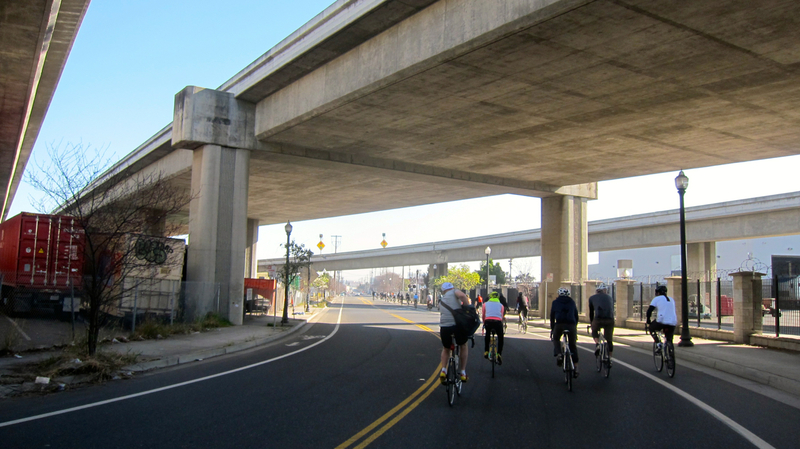 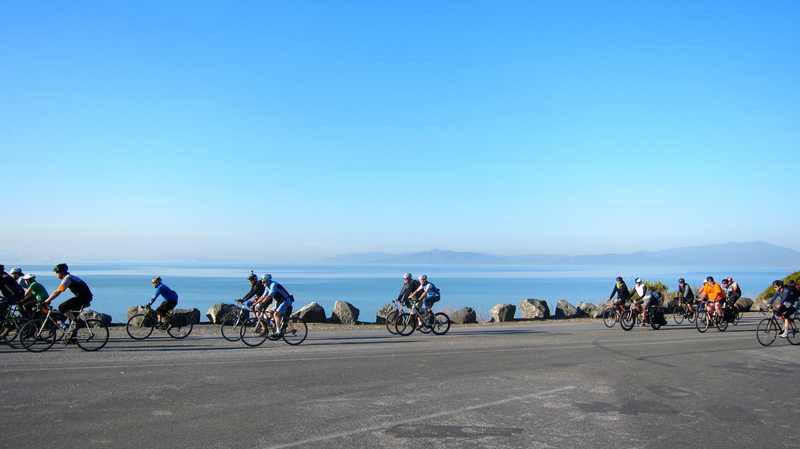 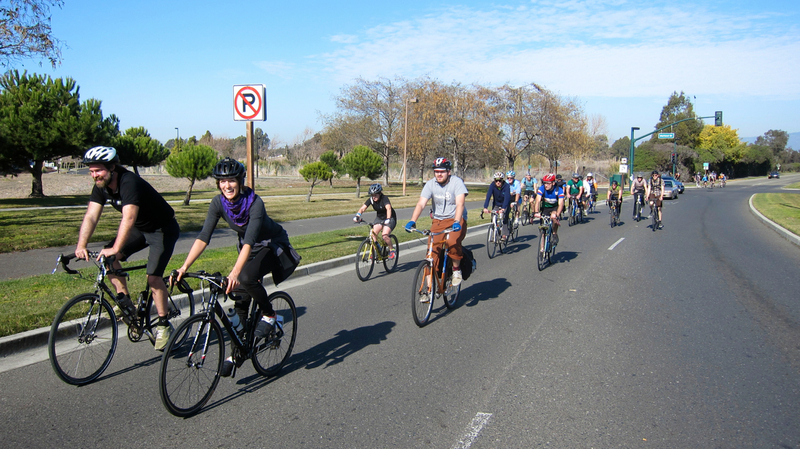 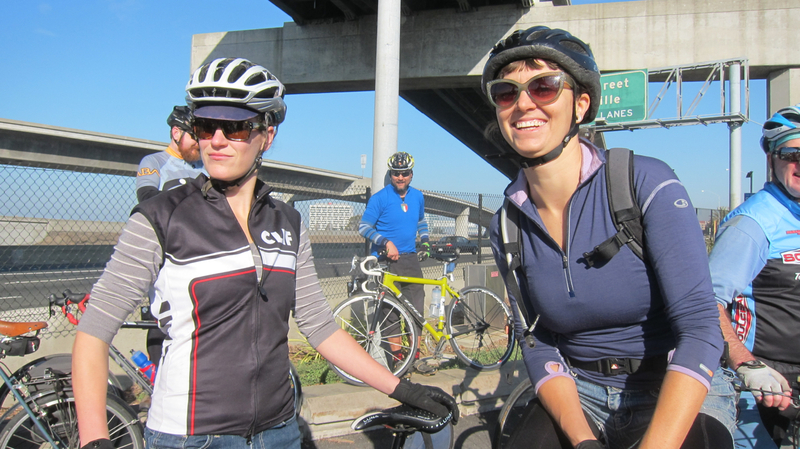 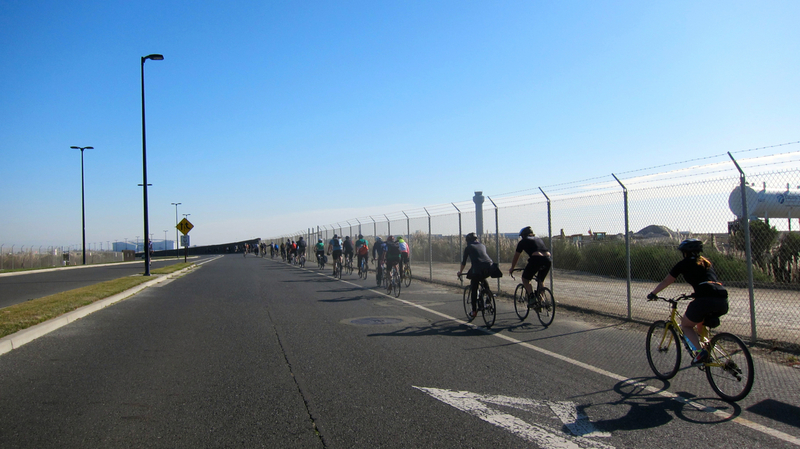 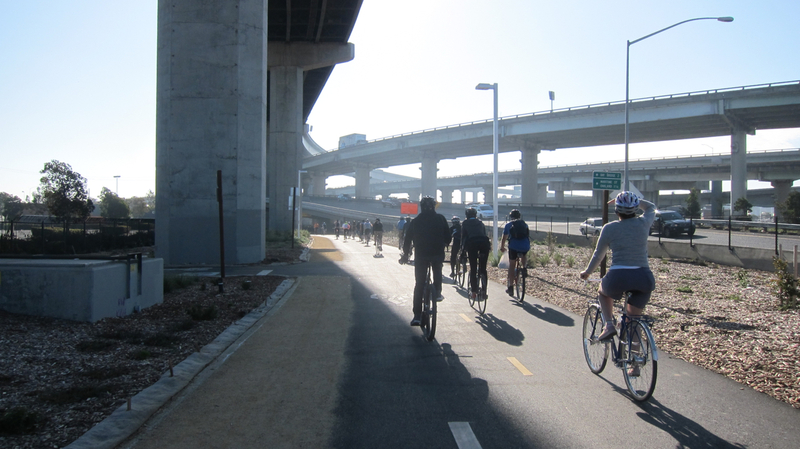 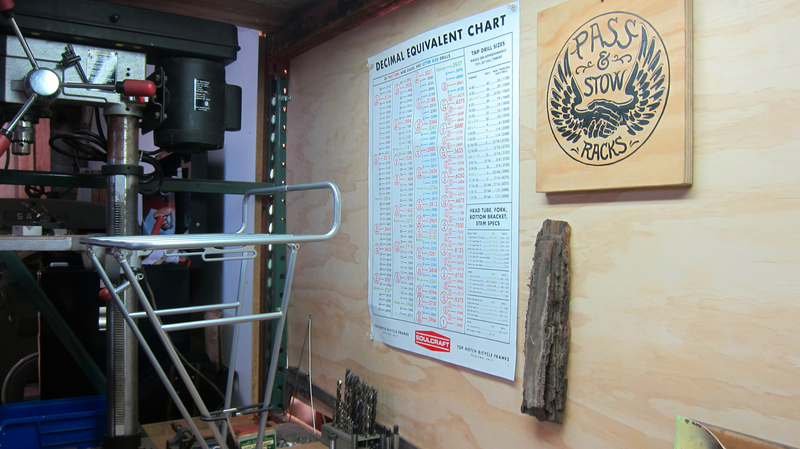 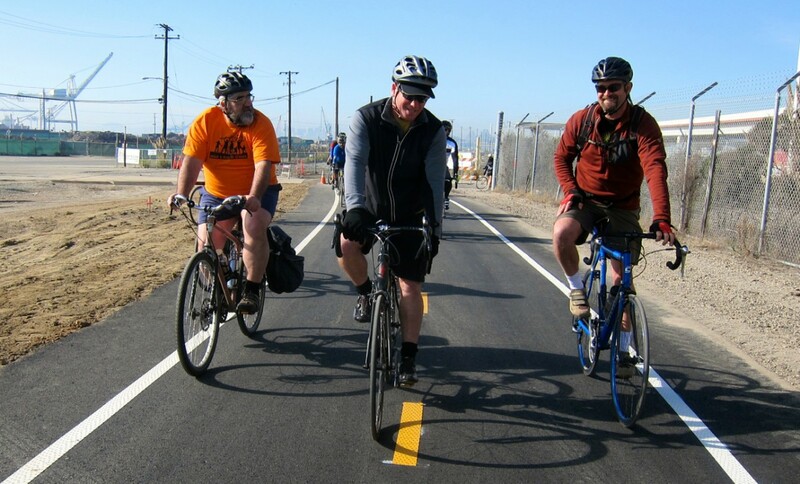 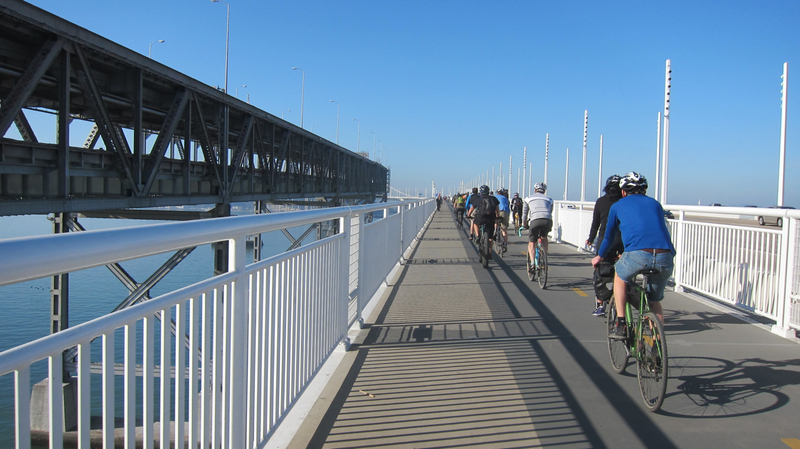 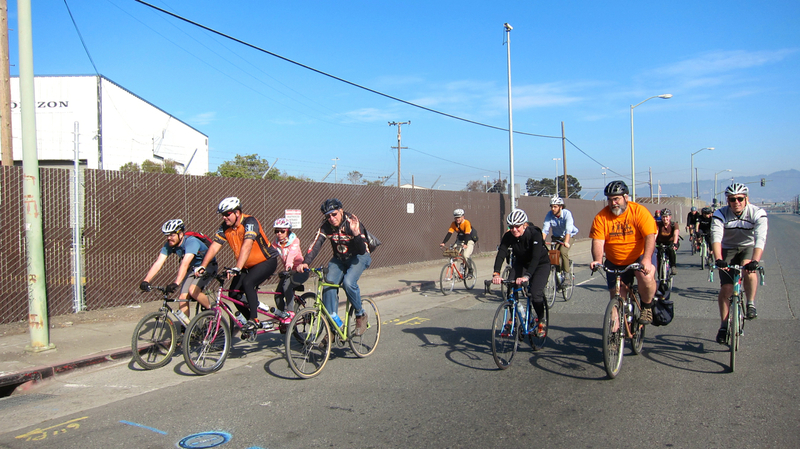 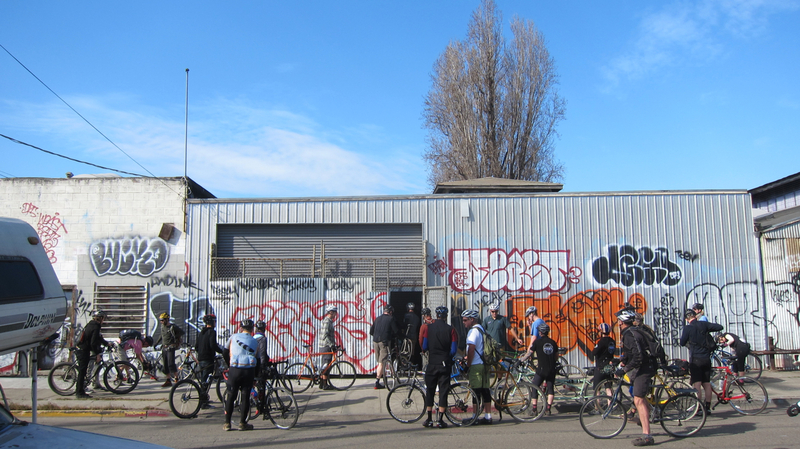 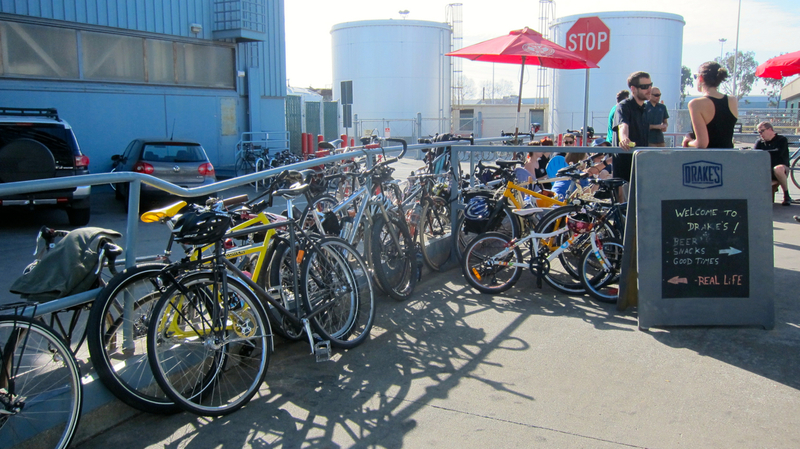 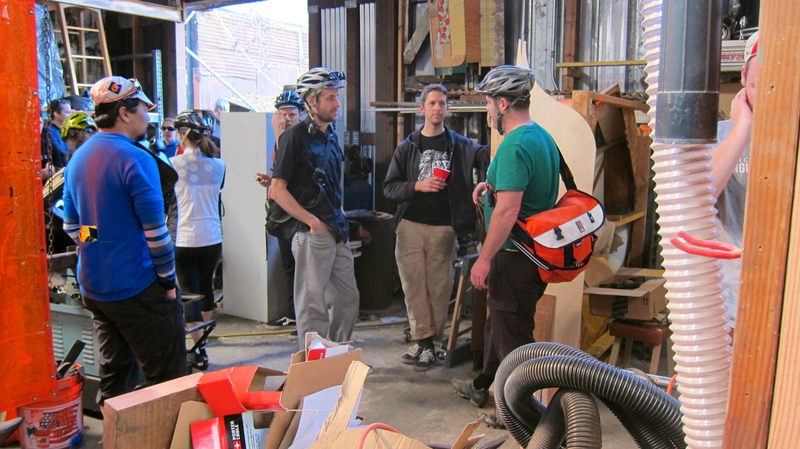 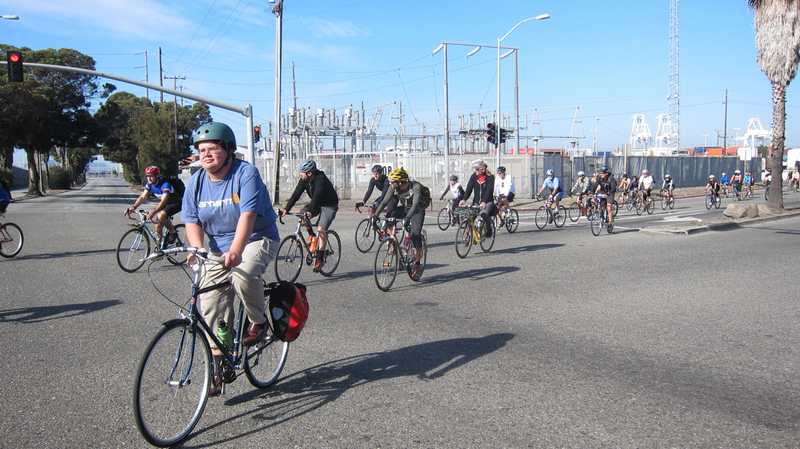 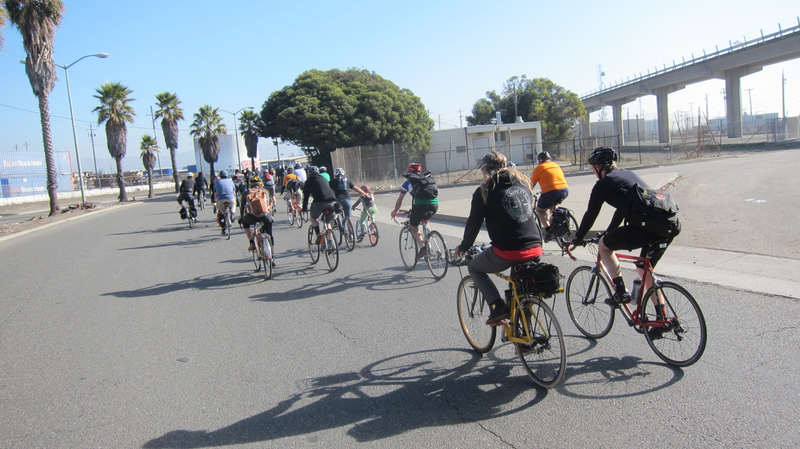 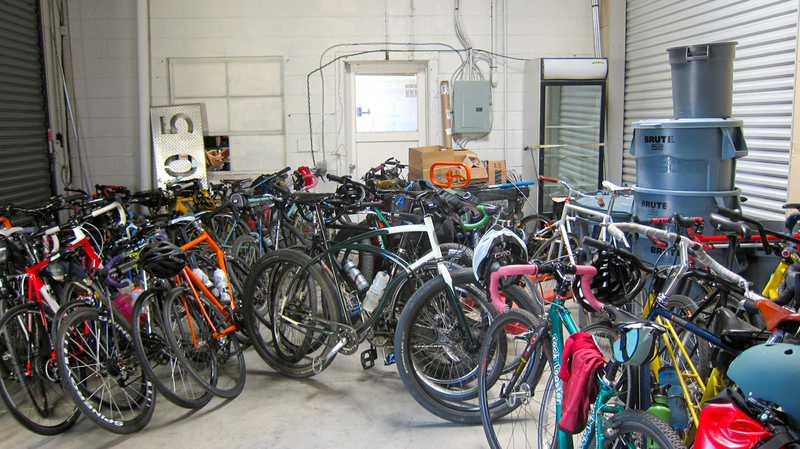 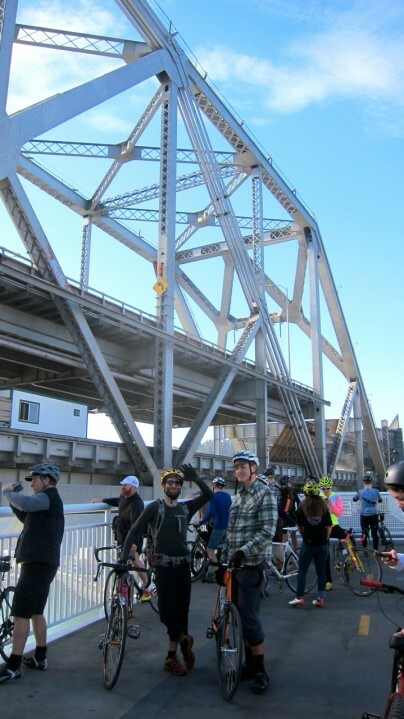 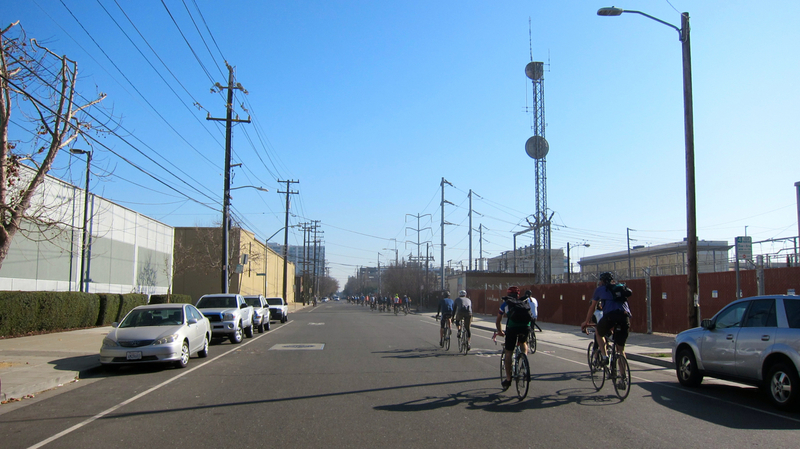 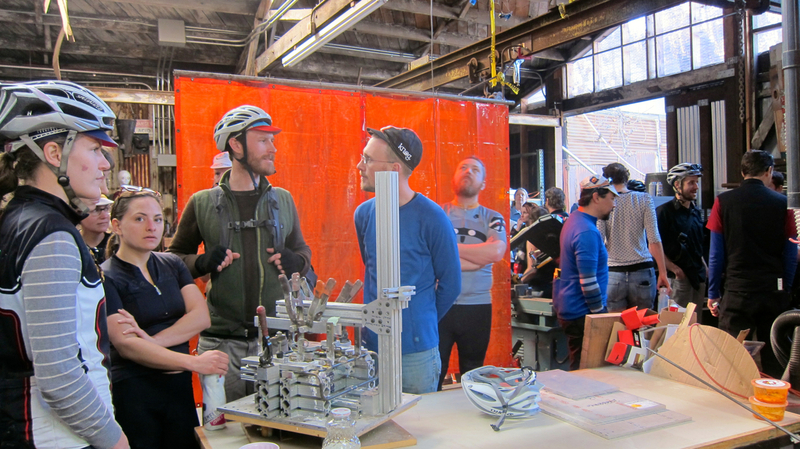 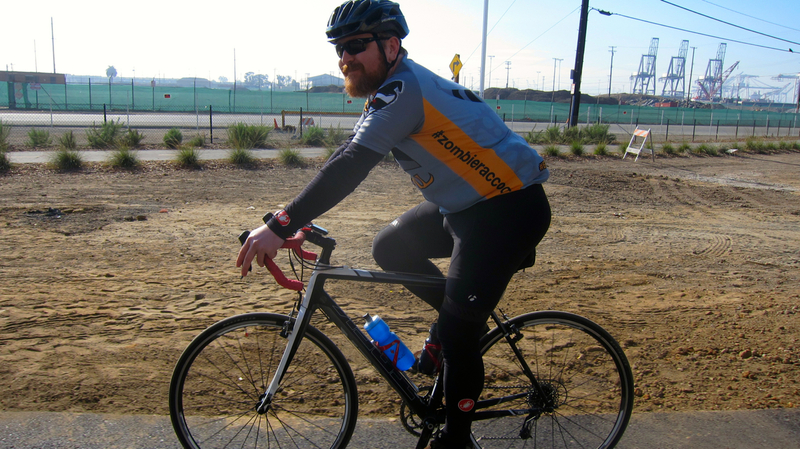 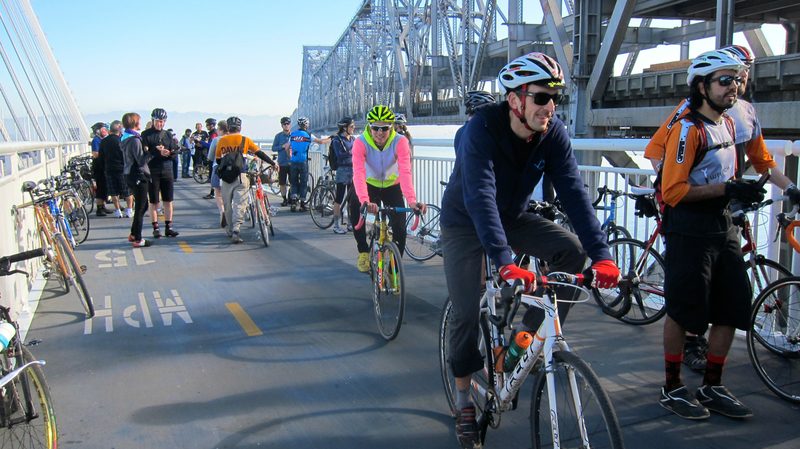 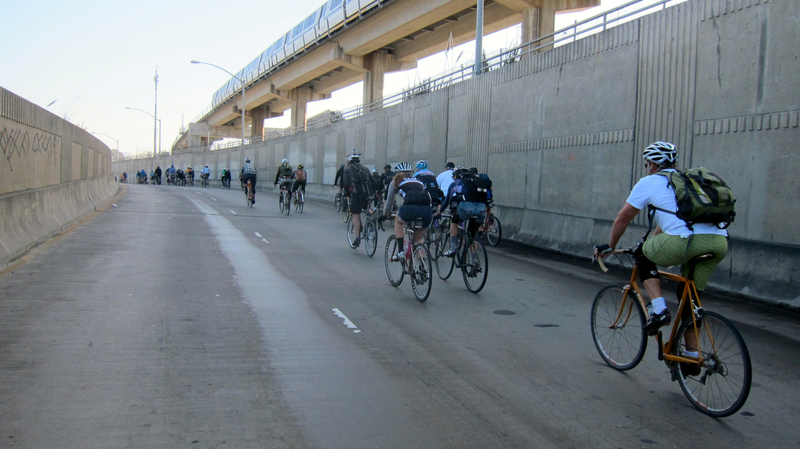 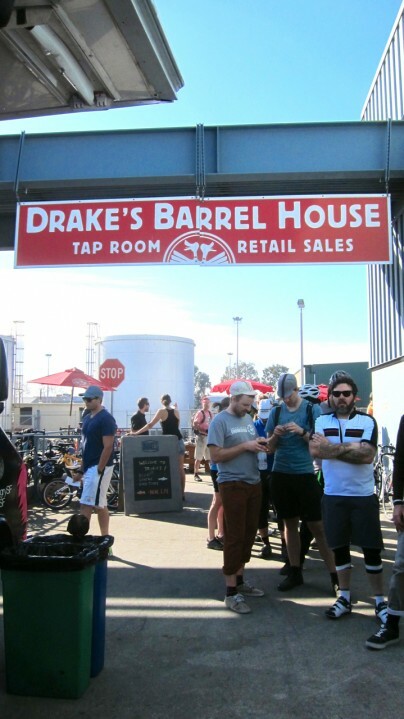 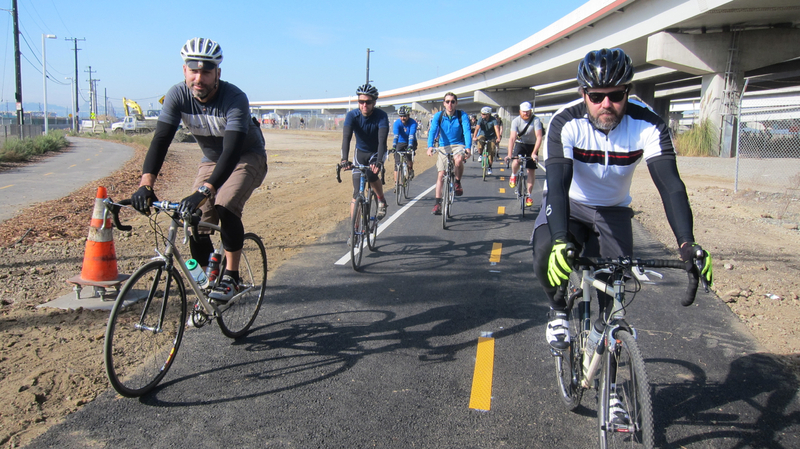 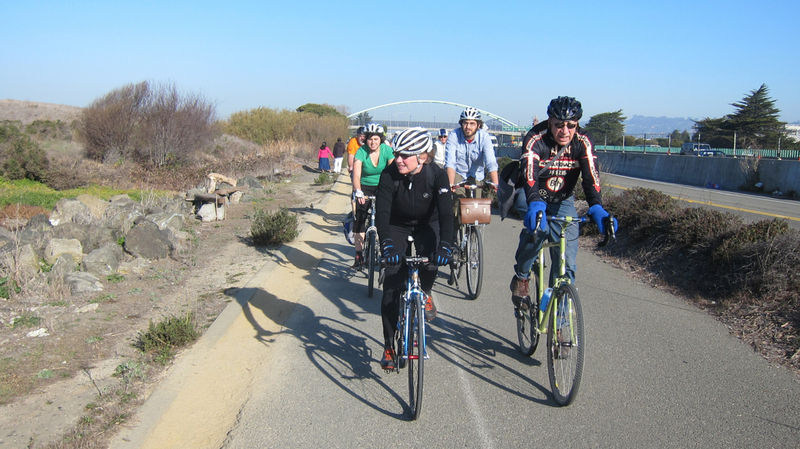 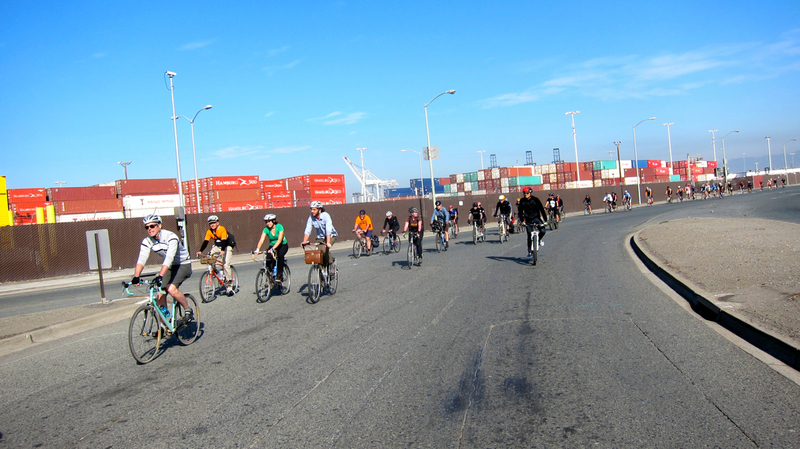 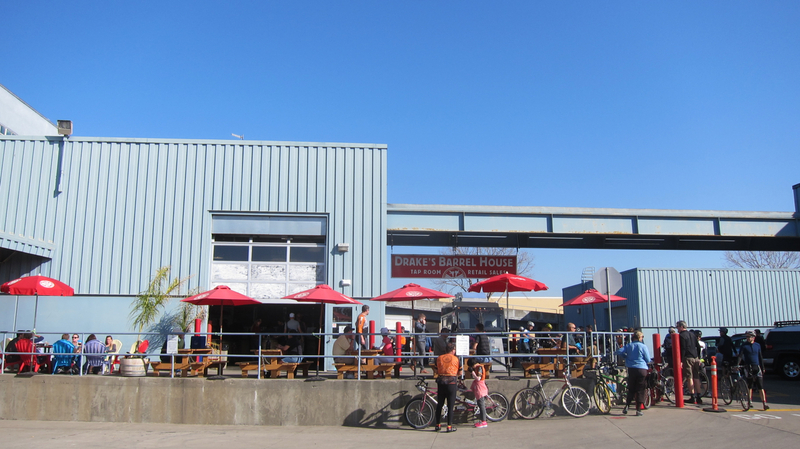 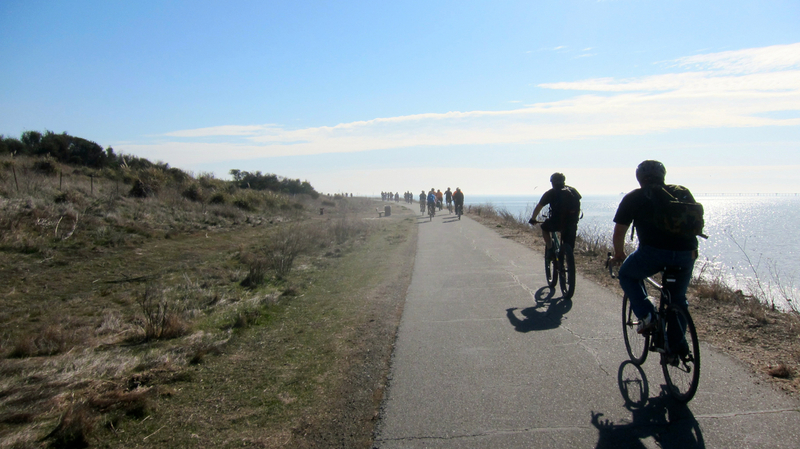 Today was the inaugural “Meet Your Maker” ride for 2014 that started off at Paragon Machine Works in Richmond and ended at Drake’s Brewing Company in San Leandro. 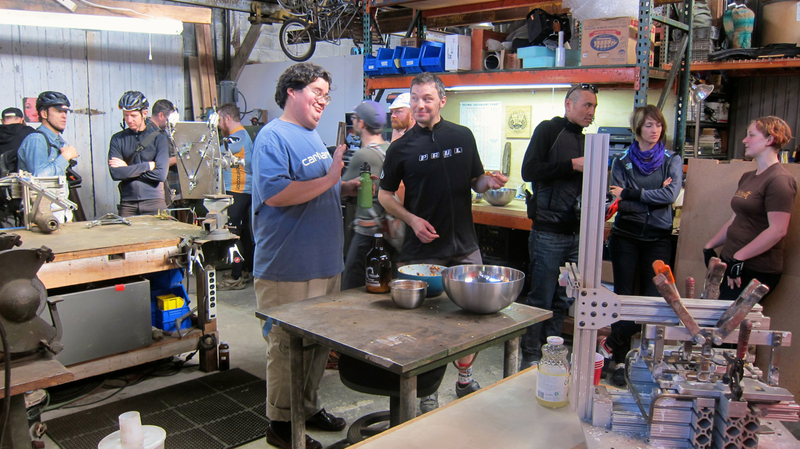 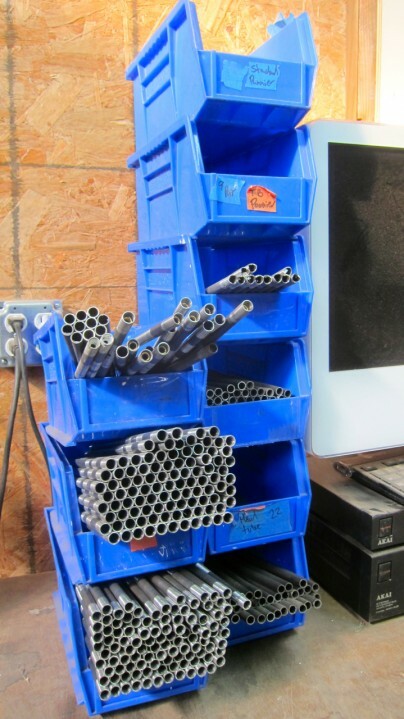 (TBO & I are big fans of Paragon as Mark made our wedding rings!) 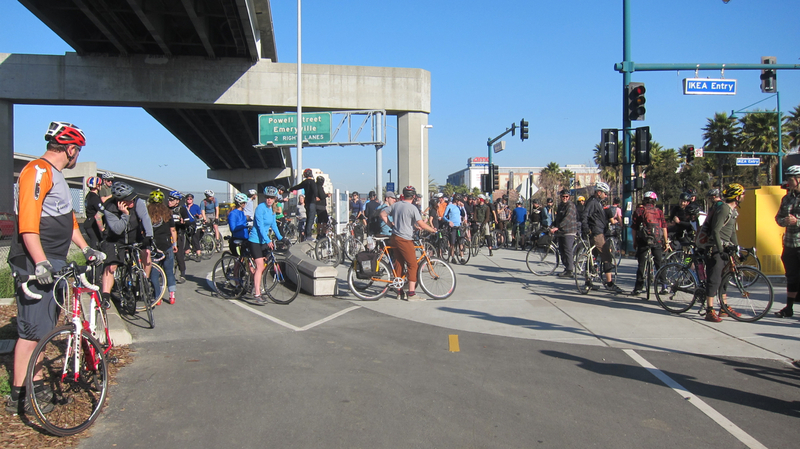 It was a huge turnout and over 150 folks came out for the event! 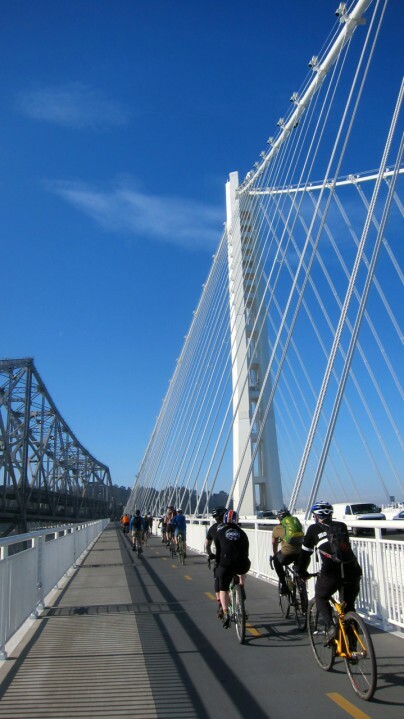 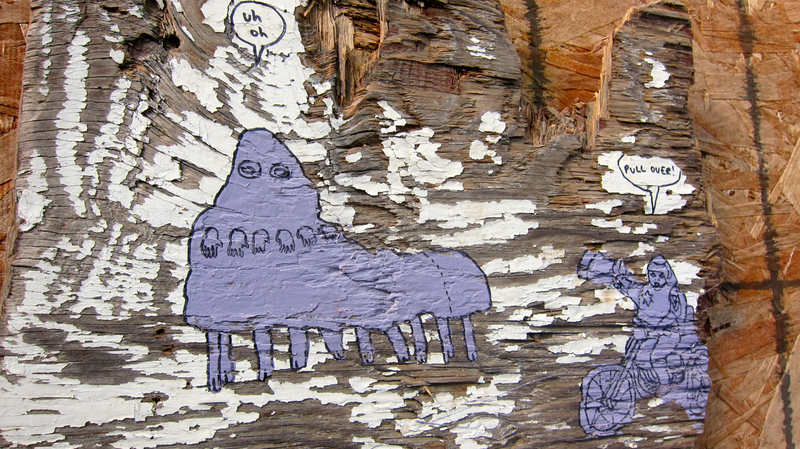 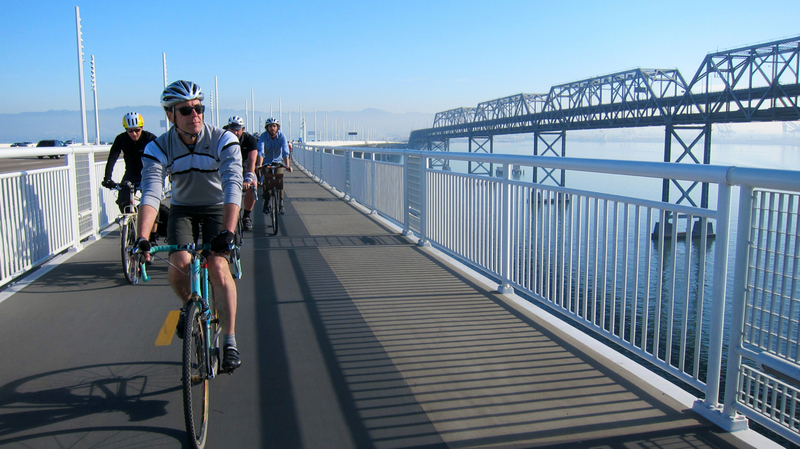 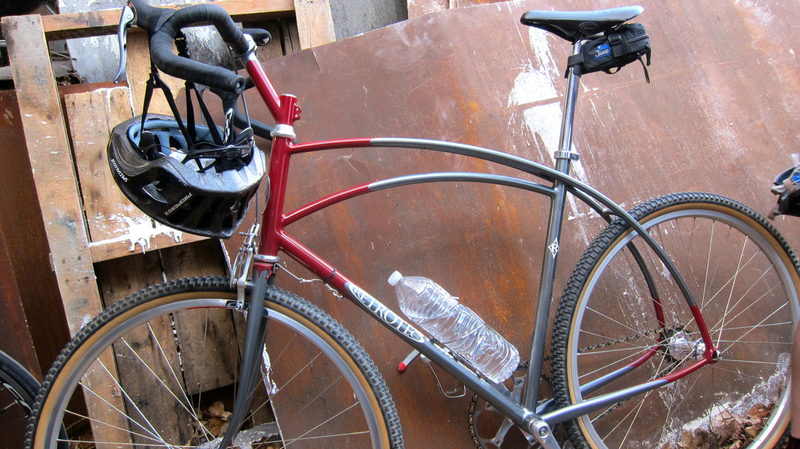 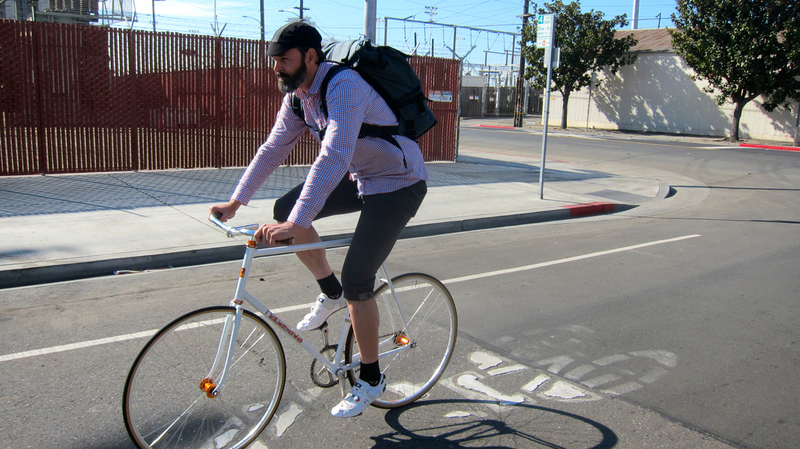 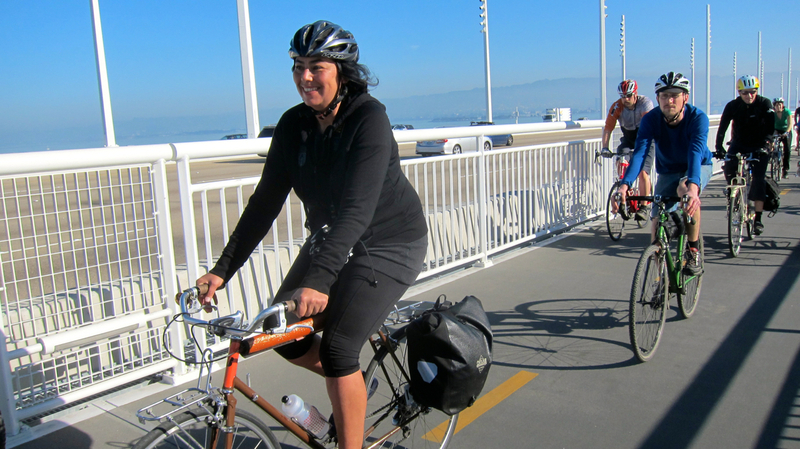 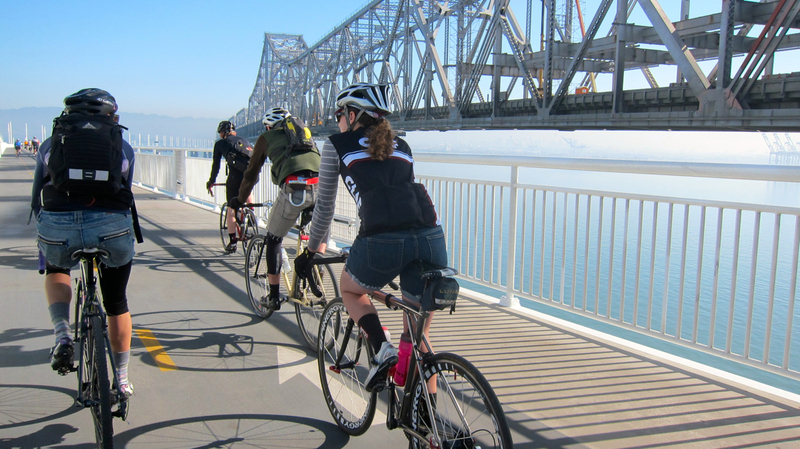 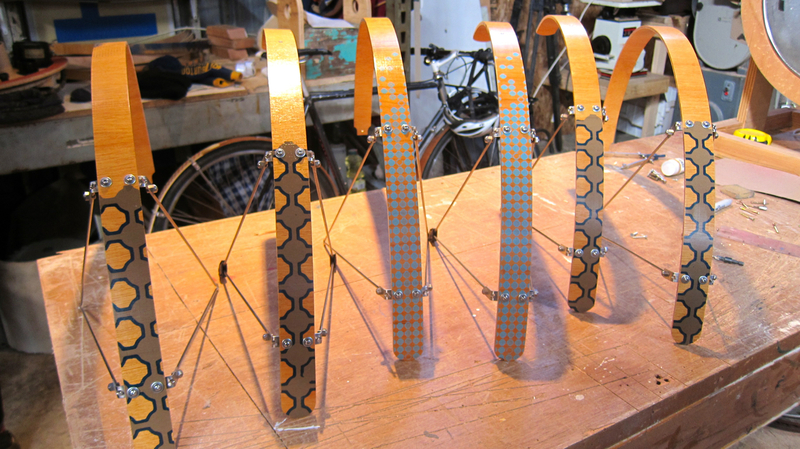 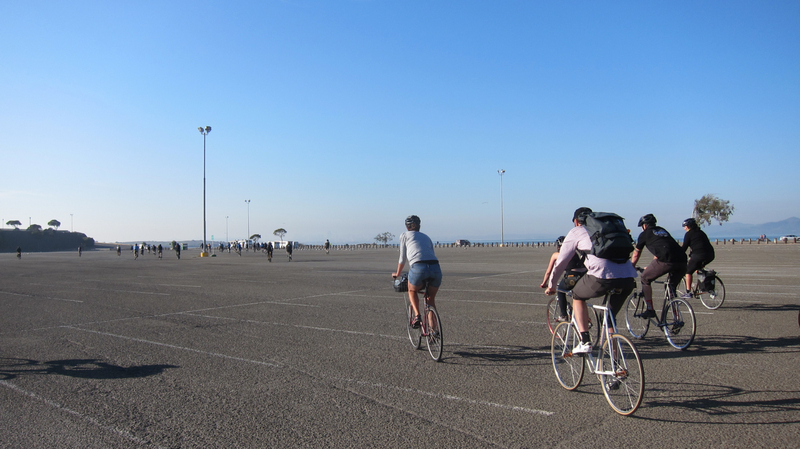 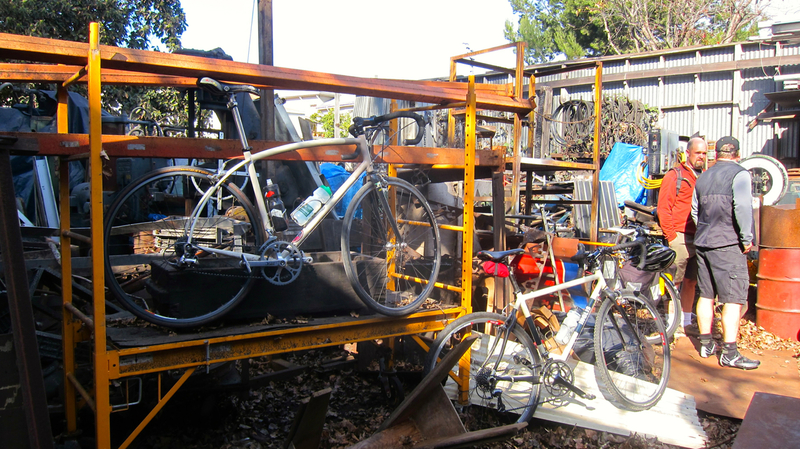 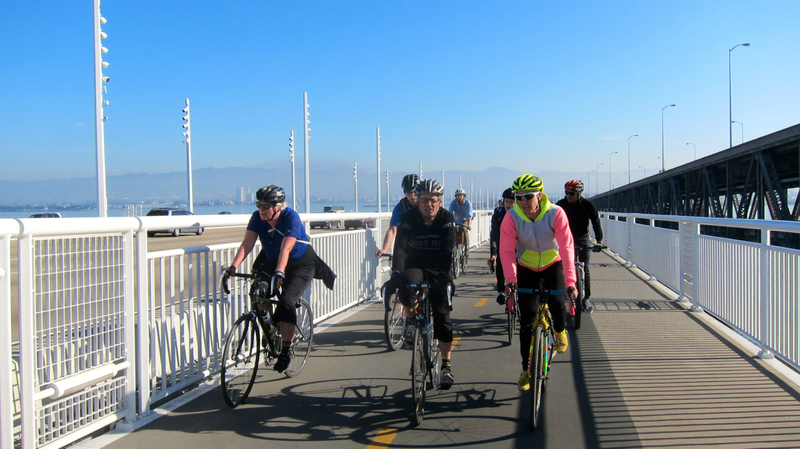 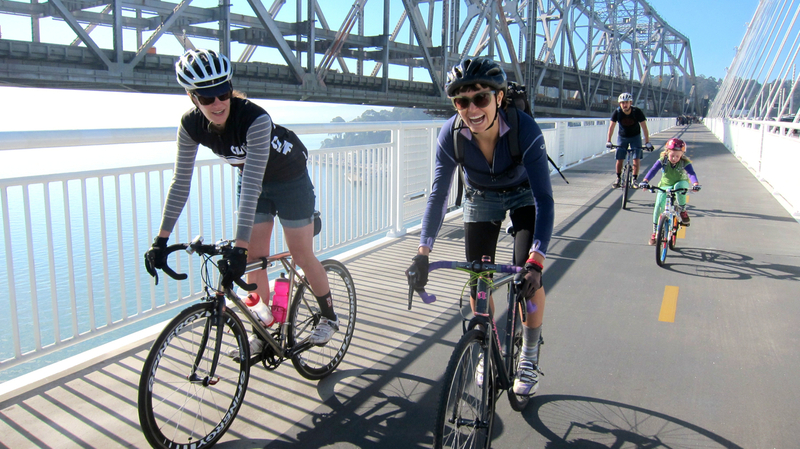 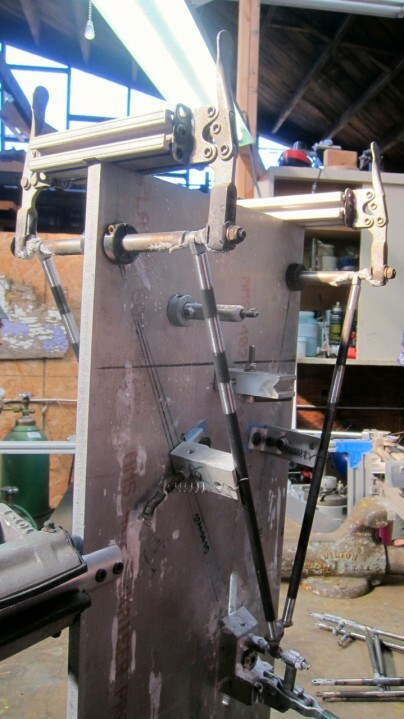 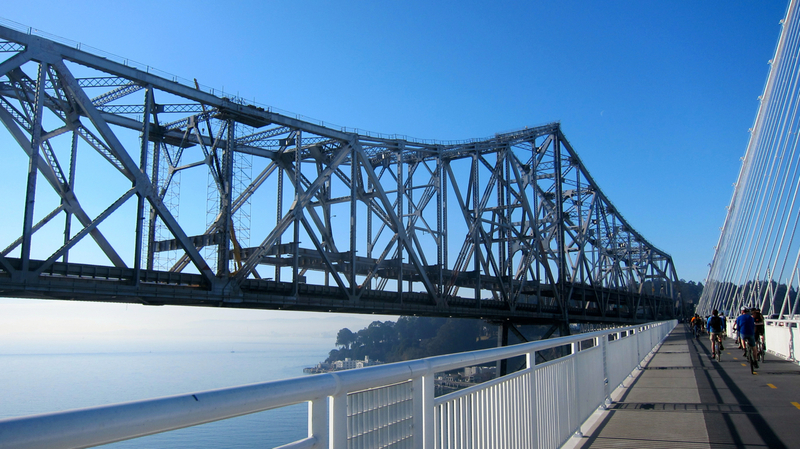 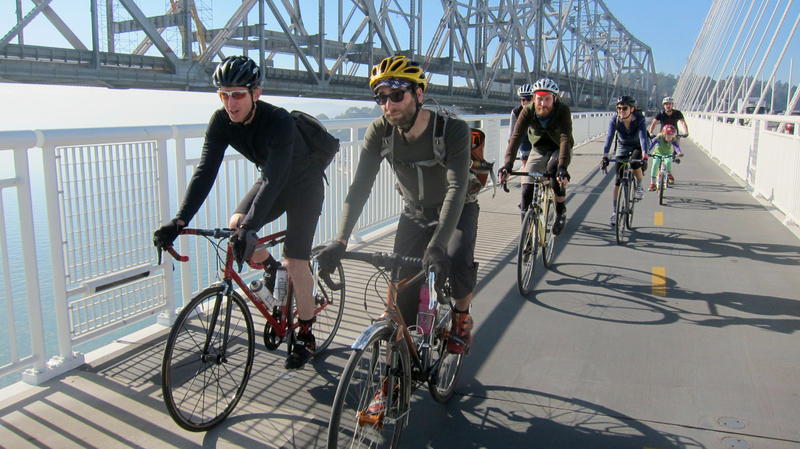 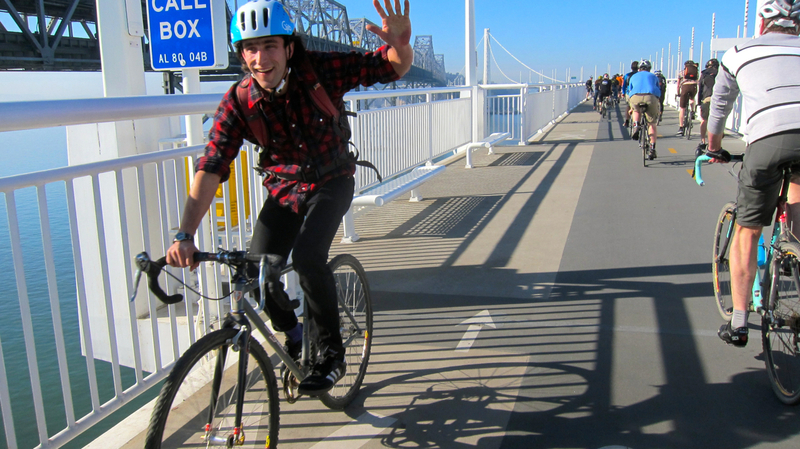 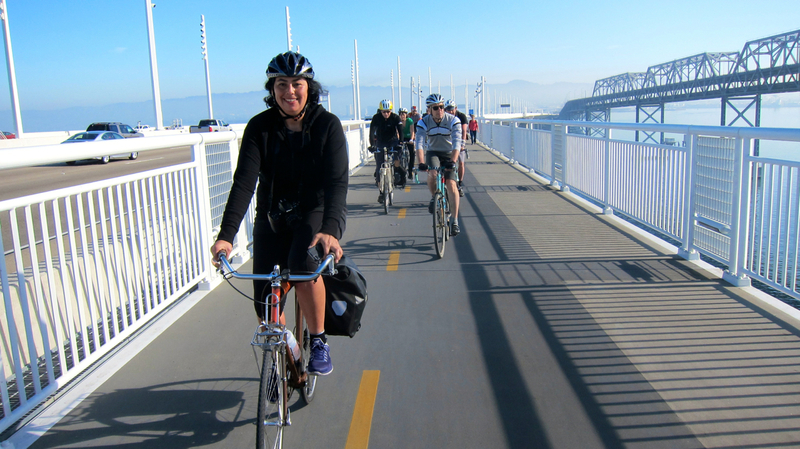 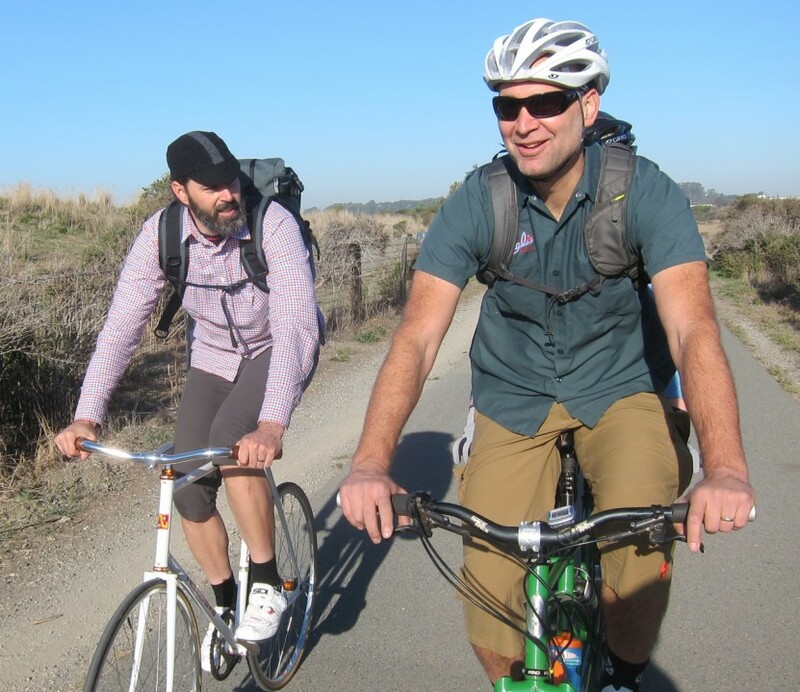 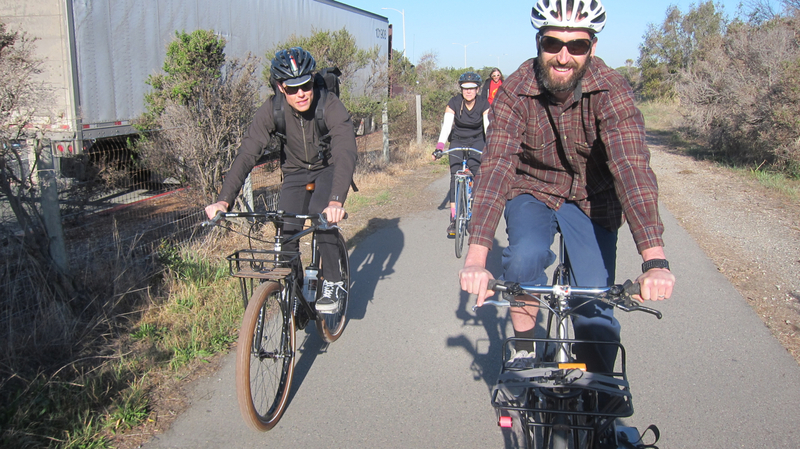 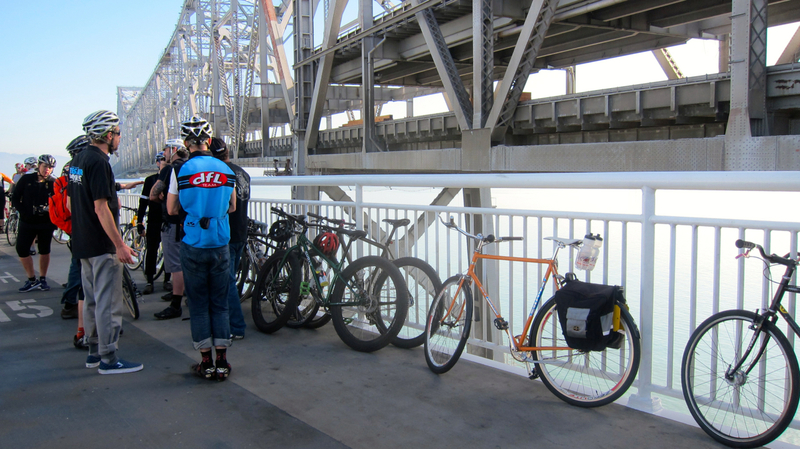 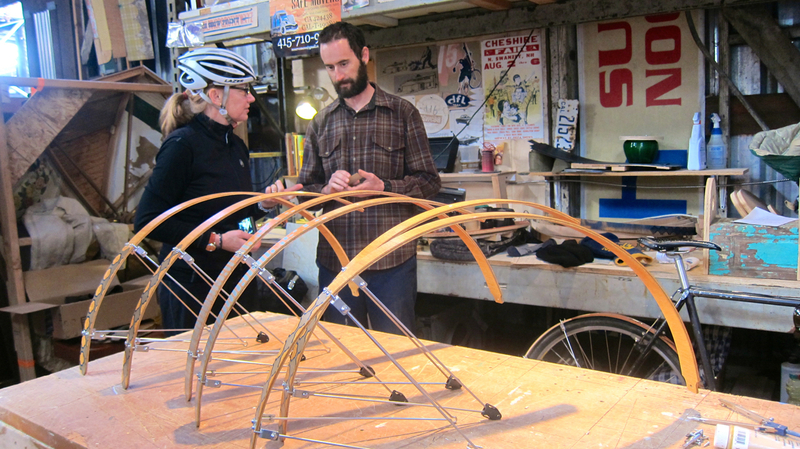 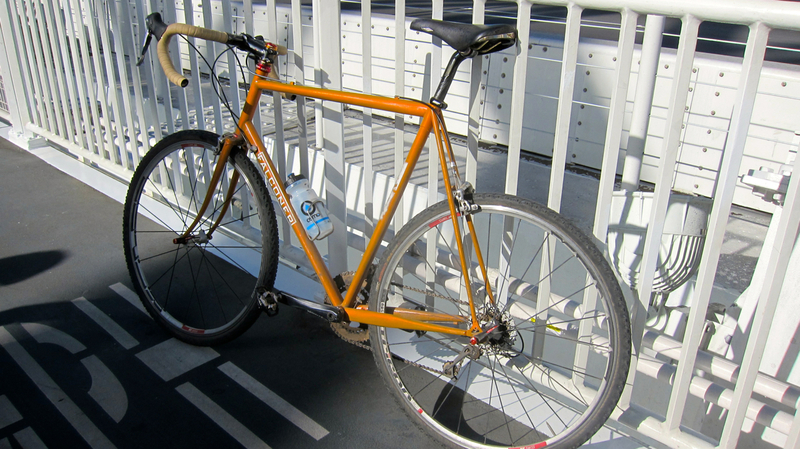 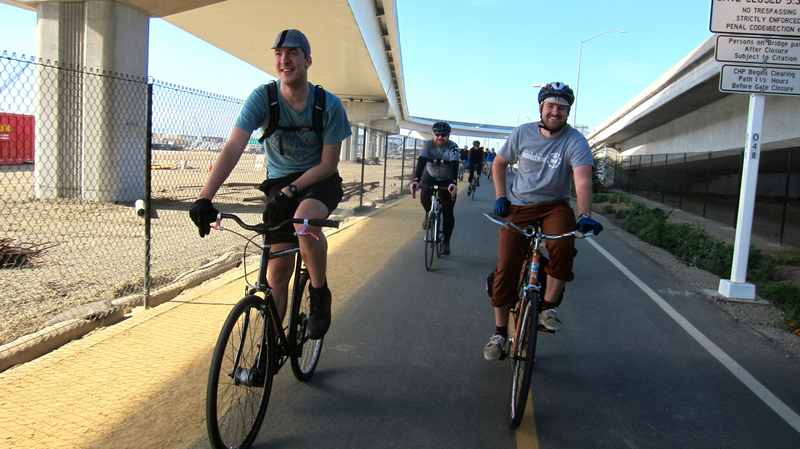 The 30-mile route cruised along the Bay Trail and stopped at Matt Feeney (Pass-and-Stow) and Jeff Hantman (Artist / Fender Craftsman) in West Oakland. 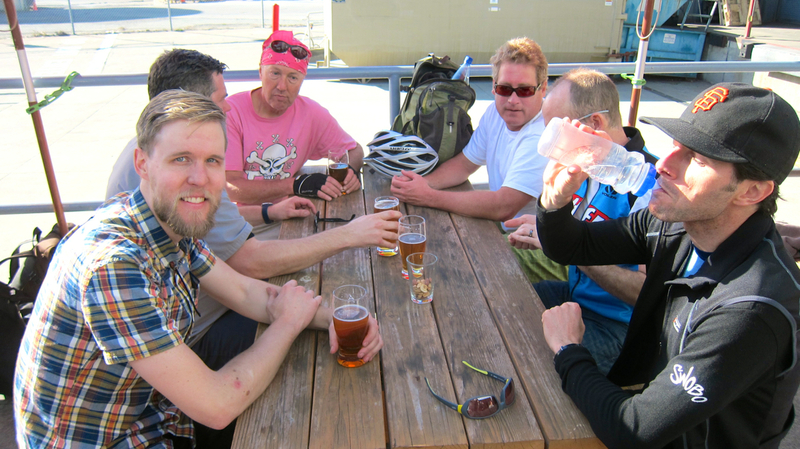 Curtis Inglis of Retrotec/Inglis, Cameron Falconer of Falconer Bikes, Bruce Gordon, Sean Walling of Soulcraft Bicycles and folks from Paul Component Engineering, Rock Lobster, Blue Collar Bikes and White Industries came along for the party on wheels in the sunshine.